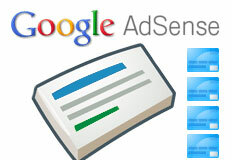 Google announced plans to discontinue paying AdSense publishers by check in all countries where they officially support paying by electronic funds transfer (EFT). Google said "EFT payments are free of charge, less error prone, more efficient and the most environmentally-friendly payment method." In fact, Google has recommended EFT since before 2007, just two years after the EFT option within AdSense went out of beta. Now, Google is going to require most publishers to receive payment via EFT. For most of you, this is not a big deal. Personally, I've always received them via check, but switching to EFT is not a big deal for me. With these changes, please note that the new system won’t support check payments in countries where we offer EFT as a form of payment. If you’re located in a country where we offer EFT payments and you currently receive check payments, please be advised that you’ll need to complete a few steps once your account is upgraded. However, no immediate action is required on your part at the moment. Once your account is transitioned to the new system, you’ll receive an email notification with detailed instructions on setting up EFT payments. To see if you are effected, see the list of countries on this page. Is this going to be an issue for you?